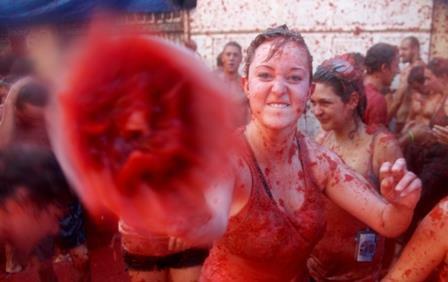 Celebrating the world’s best festivals with Oktoberfest, Pamplona and La Tomatina. Festivals don’t come crazier than those found in Europe, and as an Australian, you’re probably brave enough to venture to at least one at least once. Nowhere else do you find the sheer scale of wacky and weird festival choices; from the cheese rolling of England and medieval Italian horse races to the Cannabis Cup of Holland and the Edinburgh Fringe Fest in Scotland. In Europe, there’s truly a festival for everyone. There remains, however, the holy trinity of festivals that are positively essential. Rampaging bulls, the mother of all food fights and loads of beer. They’ve been entertaining visitors and locals alike for years and years. Whether it be for the good times, the culture or just to say you’ve been — if Munich, Pamplona or BuÃ±ol aren’t on the agenda for summer this year, then you are going to be seriously missing out. We’ve got all the details on how to survive these heady and exhilarating must-do adventures – so get inspired, get excited, get ready!